The 7th Annual T.E.A.L. Was a Great Success! The Flatlands Lions are proud to support the work of T.E.A.L. (“Tell Every Amazing Lady” about Ovarian Cancer). It was founded by sisters, Louisa McGregor and Pamela-Esposito Amery, daughters of Flatlands Lions treasurer, Larry Esposito, after Louisa was diagnosed with the disease in 2007. 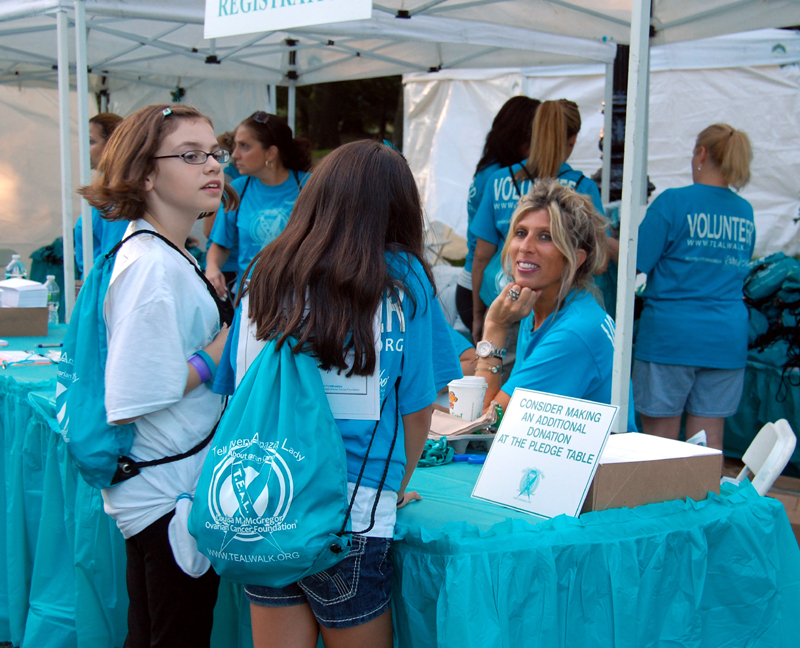 Since there was no New York City walk for Ovarian Cancer or source of adequate information for this often misdiagnosed illness, they decided to take action themselves. They formed T.E.A.L., Tell Every Amazing Lady About Ovarian Cancer – The Louisa M. McGregor Ovarian Cancer Foundation. 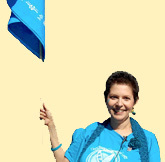 Louisa joined the Flatlands Lions in 2009 in order to share her message of Ovarian Cancer Awareness with District 20-K1 Lions, so that it could be carried to a larger audience, and held the first Annual T.E.A.L. WALK in Prospect Park in 2009. On January 17th, 2010, Lion Louisa was presented with the District 20-K1 Everyday Hero Award at its Annual Humanitarian Luncheon, for her outstanding work with Ovarian Cancer research and education. Since the first walk, T.E.A.L. has raised funds for for education, awareness and research for ovarian cancer detection and prevention, and has distributed countless educational materials at local events, health fairs, seminars, and has spread the word in the television, print and social media. Lion Louisa passed away in March, 2011 after a heroic four – year struggle that was marked by her constant efforts, no matter how ill she was, to spread the message and to save lives. Her sister Pamela, who took over full- time as T.E.A.L. 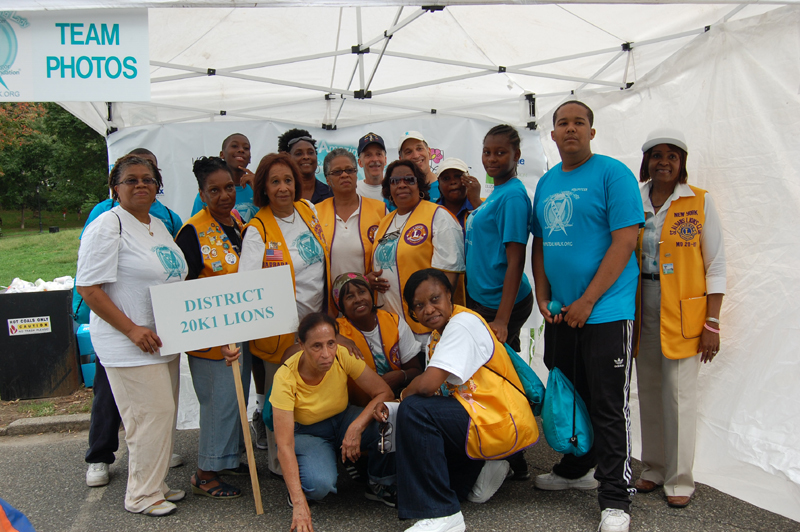 Executive Director in 2011, also joined the Flatlands Lions that year, to continue working with District Lions. 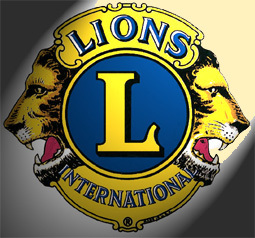 The Flatlands Lions remain committed to support and to publicize the invaluable work of T.E.A.L. 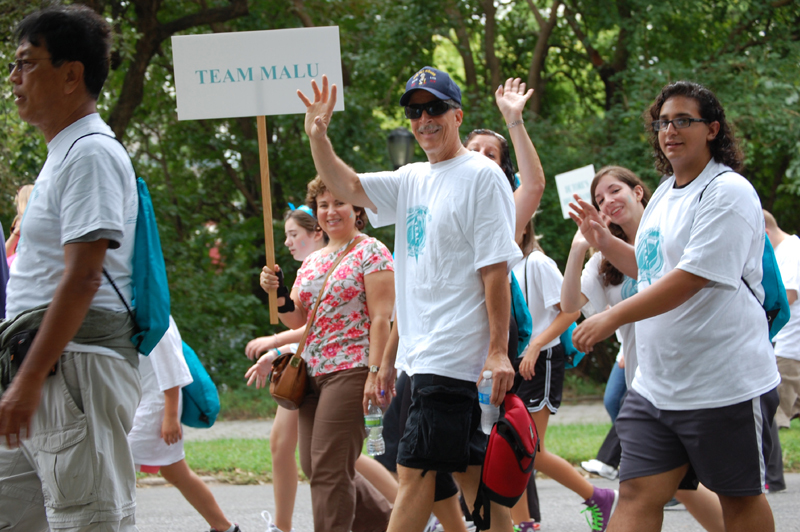 in the fight against ovarian cancer. They have helped to bring T.E.A.L. into District 20-K1 as a district-wide initiative, to further spread the message of ovarian cancer awareness and to raise money for better prevention and for a cure. 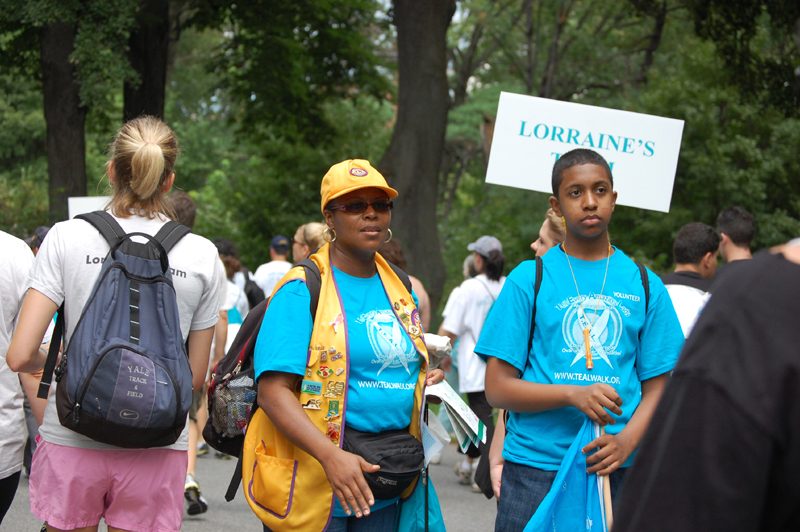 The 2015 Walk featured Lions from several clubs, who walked and volunteered at the event. The Flatlands Leos sent a contingent of Leos , who volunteered to set up prior to the event. Flatlands Lions President John Cucarese, who served as the District chairperson for T.E.A.L. in the 2014 – 2015 year, envisions a banner District 20-K1 turn-out for all 2015-2016 T.E.A.L. related activities in the District. The Brooklyn ®T.E.A.L. 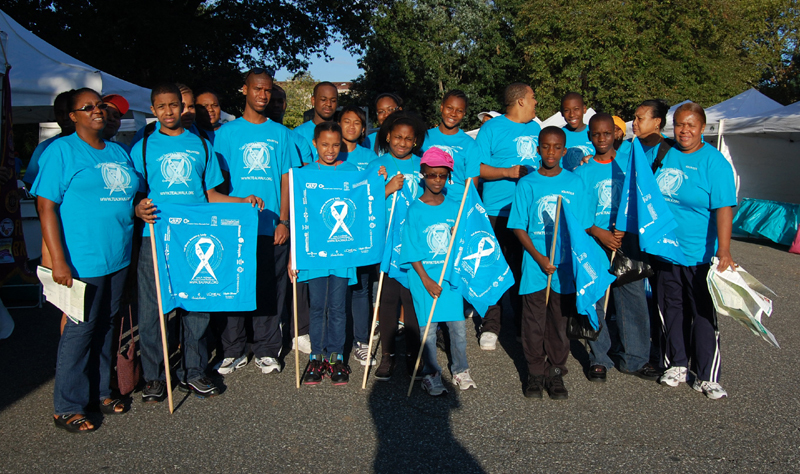 Walk/Run is an annual event taking place every September in Brooklyn, NY. 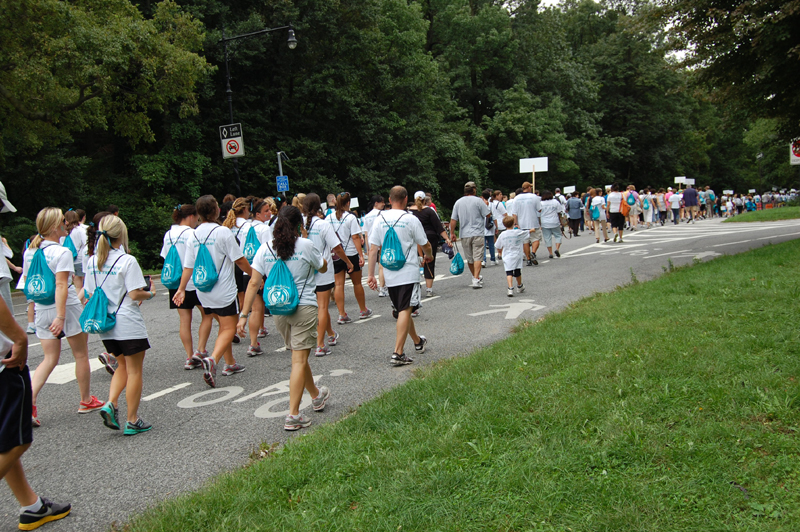 Established in 2009, it’s become NYC’s largest Ovarian Cancer Walk/Run. The T.E.A.L. Walk/Run Program has now expanded to other cities in the US including New York, Pennsylvania, Alabama, Connecticut, and Georgia! T.E.A.L. has raised over $1,000,000 from 2009 through 2014, has provided grants for medical research for a cure and prevention, and has helped to educate thousands of women about Ovarian Cancer through events, health fairs, seminars and media. T.E.A.L. has funded research at some of the country’s most prestigious hospitals and institutions. Established in 2009, T.E.A.L. has raised over $1 million dollars to help benefit Ovarian Cancer research and awareness. T.E.A.L. reaches millions worldwide through Awareness, Education, Scientific Research, and Survivor Programs. For three consecutive years, the Non-profit rating website Guidestar gave T.E.A.L. an average Gold rating of 5 out of 5 stars. Please click the T.E.A.L. logo on the left side of the page for more information and to make donations. Celebrity Ovarian Cancer Survivors Speak Out for T.E.A.L. For More Information About T.E.A.L. All of the above information was supplied by T.E.A.L.